SHOOTING THE BREEZE . . . . It was a fabulous garage sale—people are buying again and the weather cooperated in spite of the heavy rains the night before—which we desperately needed!! Back in the early 90s when I was Secretary of the BIIA as well as editor of the Island Bridge and Head of Membership (I always over extend myself) we had trouble getting members to join—the group was growing—but not fast enough. So with the help of my secretary, we tried something new—listing the people who had paid in the newly created categories in “The Island Bridge”. Apparently it worked—because that list is an ongoing tradition. What caused me to remember this was the need to thank everyone who helped make the Garage Sale the success it was—Helen Shull for accepting the Applications at Even Sisters, Derek Hagman for dangling on a ladder and hanging the banner at the entrance to the Island, Sue Podany for all the free water and support. And to all the Balboa Island retailers who graciously allow me to put a sign in their window. Finally to all those who donated to pay for the advertising, banner changes, and printing—there is a complete list later in The Coastal Breeze. Without all of this help the garage sale would never be the event it is. See my List of Heroes this Newsletter! And a special thanks to Ed Siebel. I have known Ed since he joined my networking group, BING, back in the early 1990s. Although the next year’s Garage Sale date is posted the day of the current year—Next Year Saturday April 25, 2015— somehow there was a miscommunication and the CERT Event was scheduled for the same day. Ed’s comment when I called him was that there was no reason that a disaster could not occur on 4th of July when Balboa Island was jam packed—like on the Garage Sale day—and this would be a more realistic situation. Ed is a very nice, gracious man. 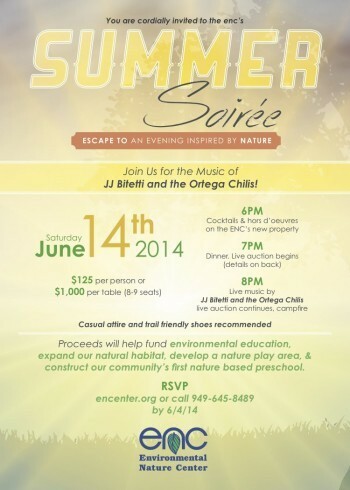 I talked to several people involved in the Cert event who said that is how it was billed—and it was a success! As I type this newsletter I think also of Ann Roberts who was my predecessor as Editor of the BIIA Island Bridge. Ann is a writer who did a fabulous job. When you see the title, “The Island Bridge” think of Ann’s creativity. When you read a column about our Balboa Island neighbors—think of Ann. She was way ahead of everyone on that! I was really lucky to inherit a newsletter that she had basically created. I think of her often, and am grateful for her mentorship. 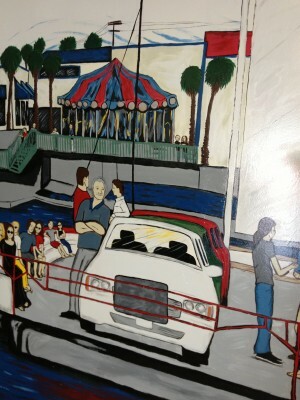 I often think of Jim Jennings as another of my Balboa Island Mentors. He was the person who suggested I join the BIIA and get involved in the Island. I loved my time with the BIIA and all the wonderful people who volunteered back in the 1990s and 2000s, so I was very sad recently when Jim’s wife, Maybelle, passed away. When I wasn’t writing or cleaning houses, Maybelle and I would go to the Village Inn and have breakfast. All the waitresses would run to greet Maybelle when we entered the restaurant. At her memorial service I found out why! She had been a waitress at one time and was a heavy tipper! After she tipped one waitress $100—Jim closed her account. She was just way ahead of her time—’paying it forward’ as we call it now! I will miss Maybelle and the fun we had together. 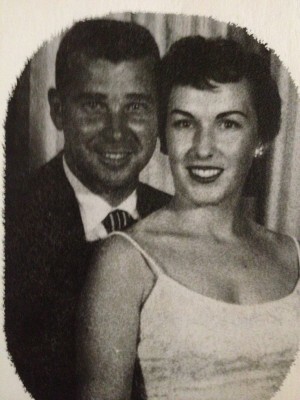 She loved music and was a concert quality pianist. She also had a wicked sense of humor and we spent a lot of time laughing! Her house is closed up now—no longer welcoming me as I deliver the Coastal Breeze on Marine. 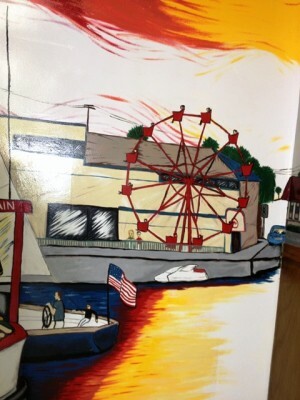 Another ‘icon’ gone from Balboa Island. 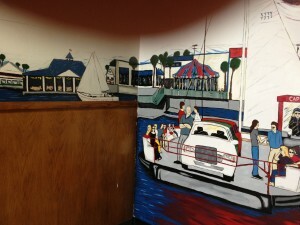 NEW MURAL IN THE BALBOA ISLAND POST OFFICE!! “ALL BECAUSE TW0 PEOPLE FELL IN LOVE” is an intriguing message hanging on the wall of Candlesssence Candle Shop on Marine Ave., Balboa Island. 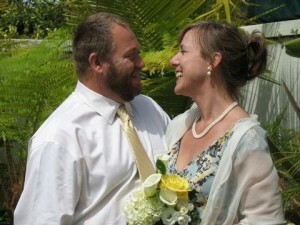 Proprietors, Neil and Stacey Roberts, after an unusual courtship; fell in love & tied the knot. Their wedding rings have symbols of 2 clans merging: “The Raven and the Eagle”, known as the “Love Birds” , and they also merged 2 countries, Canada & USA! Neil was born and raised about an hour outside Toronto ,Canada. Early on he marched to his own drummer, followed his wanderlust spirit by working his way roundtrip through the entire country of Canada at hotels, hospitals, recreation & vacation parks (including Banff National Park) and is also a 60s and 70s Classic Rock music buff. Stacey enjoyed romping on California beaches, water sports, and had a hobby cranking out candles in her garage. This ‘hobby’ began to turn into a business. Neil entered the computer world & looked for an Internet card playing partner! Enter— Stacey! They battled each other at Poker for 9 months. Then Neil came to the States to meet his worthy opponent. He suggested having dinner with her parents where 15 family members showed up, voiced approval and the rest is history. After settling on the Island Neil helped Stacy build up their thriving candle business on Marine Avenue. Next, they started looking for a pet! Enter “Oliver” - an adorable puppy being given away by a Rite Aid Store! Enter “Stanley” a playful cat who challenges Oliver! Life is fun with “Stan and Ollie”! “Giant Blue Whale Watching Summer/Fall 2014 . Giant blue whales were once considered quite rare off Newport Beach, but over the last five years this has changed dramatically with hundreds-thousands of giant blue whales spotted each year. Over 1100 giant blue whales were viewed from May-October with multiple blue whales sighted during one whale watching cruise, a regular occurrence. Along with viewing blue whales, finback whales (second largest whale) are also frequently viewed as well as the smaller minke whales. Humpback whales and even killer whales are also possible during the summer and fall months. Giant pods of common and bottlenose dolphin are also very common with mega pods numbering a thousand or more dolphins. These pods are quite frequent as well and amazing to witness. 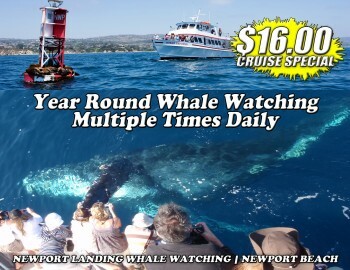 Join Newport Landing’s whale watching cruises, offered multiple times daily from Balboa Peninsula in Newport Beach and view the largest creatures on earth. Address 309 Palm Street Suite A Newport Beach Ca 92661.
retirement plan, be sure you take the required minimum distribution (RMD) as mandated by the IRS. Failure to take at least the required amount each year results in a whopping 50% penalty on the amount not distributed. If you have an IRA, your first RMD must be taken no later than April 1st of the year following the year you turn 70 1/2. You reach 70 1/2 on the date that is six calendar months after your 70th birthday. All subsequent RMDs must be taken no later than December 31st each year. The RMD is calculated by dividing the adjusted market value of your retirement plan as of December 31st of the preceding year by the distribution period that corresponds with your age in the Uniform Lifetime Table. This table is found in IRS Publication 590. If you have more than one traditional IRA, you must determine a separate RMD for each IRA. However, the total amount can be taken from any one or more of the IRAs. You can always withdraw more than the minimum distribution amount without penalty. However, the distribution is taxable. The RMD rules do not apply to Roth IRAs. Those distributions are required only after the death of the participant. We have a NEW PRIVATE FLOOD CARRIER now available on Balboa Island and Newport Beach..
It’s new and the RATES are GREAT! replacement cost! No surcharges imposed! Do you crave sweets after you eat meat? 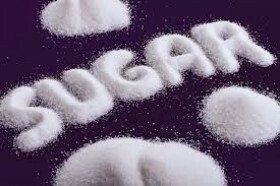 Lately, whenever I ate a hamburger or other red meat for a meal, I noticed I craved sugar. This was unusual. Unlike my other half, sugar isn’t one of the things I love. I really thought I was imagining things. Nope. My friend Kim Kane, nutrition coach, told me that that was not unusual. It meant I wasn’t getting enough protein in my diet. Guess I need to up the beans and other legumes. Since sugar at night means a headache for me in the morning - that was a fabulous piece of advice. Thin cups keep your drinks hotter. 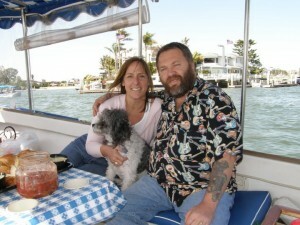 Several years ago we had a woman from England staying in our apartment on Balboa Island. We had an electric tea kettle, but the one thing she wanted was a thinner china mug. We had lots of the big heavy duty ones. “Why thinner?” I asked. “Because the heat from the liquid is not absorbed by the thick mug - my tea stays hotter much longer.” Lesson learned. I love my thin tea mug that she left behind. My coffee stays warm a lot longer. I came to Balboa Island when I cleaned Jim Jenning’s house—and continued to clean for many years before selling the business. I know a tremendous amount about cleaning. So it was really wonderful when I met Kristen Schmitt who has started the business Tidy in January, 2014 with an entirely new concept. “Quality Cleaning for $40” . Yes, you heard me $40.00! And they know what they are doing. Next the ‘Tidy Plus’ where you can add another 1-2 other areas for $80.00. 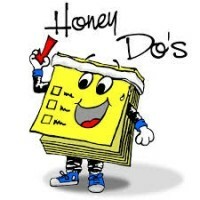 On their website there are lots of raves about their service—many people have 2 and 3 ‘Tidys’ a week. With different areas cleaned each time—so their house is always clean!! Kristen knew she wanted to be in the cleaning business. Her background is in Business Administration. Although she grew up here in Southern California, she got her degree in Business Administration at Emory University in Atlanta. Her degree is in marketing. Kristen spent many years working for other people— running several concierge services that catered to executives and their families—finding everything from homes, and airplane tickets, to plumbers and cleaning people. Often helping them settle in new areas of the country and the world. She turned those years of experience into Tidy when she moved into a new house and realized she needed help with cleaning and settling in. IF you sign on to http://www.gotidy.com you will find a beautiful website and the ability to book a ‘tidy’ using their online form. Set your preferences anytime via text, email, phone or the TIDY App. Homekeepers wear protective booties in the home. 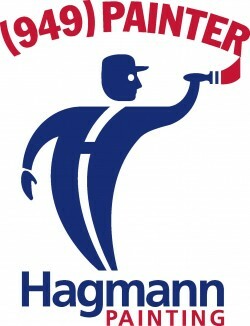 Homekeepers use premium products, supplies, and Dyson vacuums. Products are environmentally responsible, non-toxic, pet and baby safe. Proudly employed and trained by TIDY. TIDY provides all cleaning supplies. Must pass TIDY homekeeping and etiquette training. English speaking and are legal US residents. All Homekeepers are background checked, insured, and bonded. Submit the ‘Book a Cleaning’ Form. TIDY Front Desk will confirm your appointment. Homekeepers can come in as little as 4 hours. I love seeing Mike McCluer of Island Lights. It reminds me of the prompt fabulous work he does with a smile on his face at Christmas time— hanging all the beautiful lights. Now you can see him all year long doing home improvement jobs—electrical, plumbing, carpentry, termite damage, wood rot, etc. All those little jobs that have been put on the back burner because of time constraints. Everyone I know has memory problems lately—even my younger friends. They say as we get older, we don’t lose our memory—our brains are just too cluttered with information to find what we are looking for. I have always said either I need to defrag my hard drive or replace it. Is this in the future??? There are now more young adults than there are baby boomers. From 1947 through 2010, the largest single age group in the US was born sometime in the 18 years after the end of World War II. But the census bureau now estimates that the biggest such group last year was 22-year-olds. The largest of the baby boom contingents, people who were 53 last year, had fallen to fourth place. The second and third ranked age levels were 23 and 21 year olds. So there actually is a huge workforce coming up behind all of us oldsters! 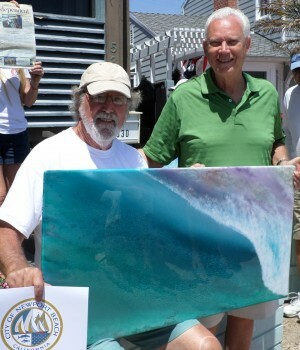 Featuring over a mile of art and live music, the 20th Annual Balboa Island Artwalk took place on May 18th along the South Bayfront of Balboa Island. This fine art show is the premier showcase for talented local artists and marks the start of the Island’s summer season. Thousands of spectators enjoyed 100 artists exhibiting paintings, fine jewelry, blown glass, sculpture, and photography. The festivities were complimented by live music on six stages along the walk. 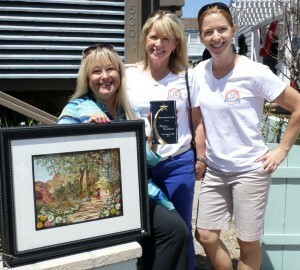 We are pleased to announce the Balboa Island Artwalk’s award-winners! The Mary Hardesty Award of Excellence was chosen by Mary Hardesty and Erica Primeau and awarded to Larisa Thaney for her art created with elements from nature. Mayor Rush Hill selected Nicholas Mirandon’s large resin contemporary art pieces for the Mayor’s Choice Award. 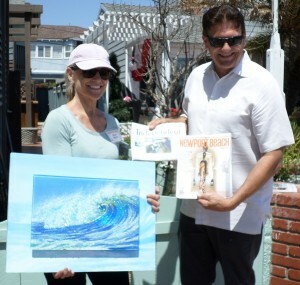 The Newport Beach Magazine Award was presented by Independent Newspaper editor Chris Trela to Susan Marosz for her paintings accented with 3D glass. TIP FOR THIS MONTH—IF YOU ‘SCREEN AND COAT’ YOUR WOOD FLOOR ON A REGULAR BASIS—You won’t have to sand it nearly as often. We are doing lots of that right now!!! WE CAN SCHEDULE AN APPOINTMENT AT YOUR CONVENIENCE! A HUGE THANK YOU TO THOSE WHOSE DONATIONS HELPED MAKE THIS ONE OF THE BEST GARAGE SLES EVER! I LOVED ALL YOUR LITTLE NOTES AND COMMENTS—THANK YOU AGAIN!! THE LIST BELOW IS BY STREET STARTING WITH LITTLE BI!